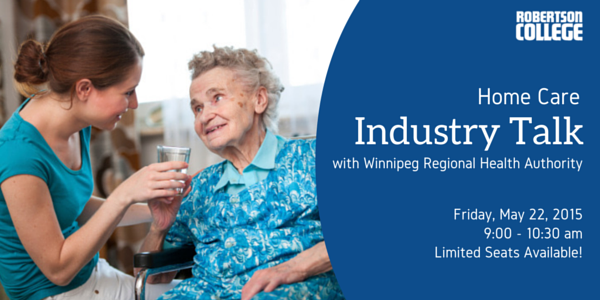 Join us on Friday, May 22nd for an insightful Industry Talk with Rosalie Ritcher, Staff Development Instructor - Home Care with the Winnipeg Regional Health Authority (WRHA). Rosalie has over 20+ years of experience working as a Registered Nurse and as a Staff Development Coordinator with the WRHA for Nurses, Health Care Aides and Nursing Assistants. Rosalie is responsible for assisting and upgrading employees once they become hired with WRHA home care. Home Care is an aspect of health where health care would be provided in the individuals' home. Many duties are client specific so Rosalie ensures that staff are trained accordingly to meet the needs and preferences of the clients they work with. 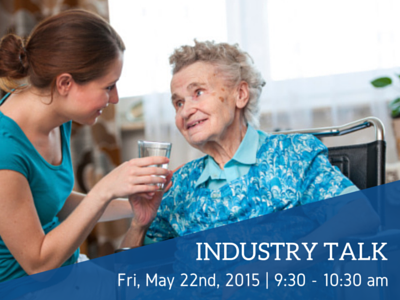 With her wealth of knowledge and training, Rosalie will share with us her insights on the current industry requirements for Home Care. Seating for this event is limited! Please RSVP by calling 204.943.5661 ext 328 to reserve your spot. You can also email winnipegevents@robertsoncollege.com.